We love ice cream but it's expensive and inconvenient to get some at an ice cream store. Seems every recipe we try either is too thin & icy (like weak ice milk) or the milk fat congeals into little blobs by themselves and doesn't spread around. Anyone have a good ice cream recipe made from locally available ingredients* that comes out nice and creamy? *I DID get Mom CB to send down real honest-to-God- vanilla beans, so I'm off to a good start. Scald milk over low heat. Stir in melted chocolate. Combine sugar, flour, salt in a bowl, add eggs and mix well. Pour hot milk mixture carefully stirring constantly. Cook over low heat until mixture coats a spoon. Chill in refrigerator. Stir in cream and vanilla before adding to ice cream maker. Add sugar gradually to beaten eggs. Continue to beat until mixture is very stiff. Add remaining ingredients and mix thoroughly. 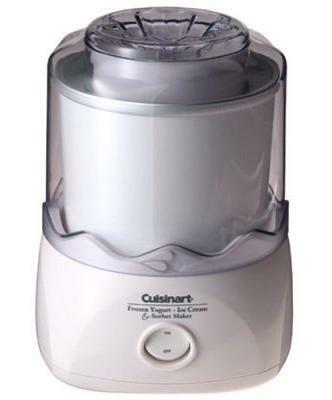 Add to ice cream maker and follow directions. For the chocolate ice cream: 2.5 eggs? That's a weird measurement, first time I've come across it. Yes they are from the original 1960's type of hand turned ice cream maker where you pack ice and salt around the container and then churn for 15-20 minutes. Got an electric maker and used them in that as well. http://dr1.com/forums/general-stuff/...tml#post270854 - see the post for vanilla. I know, the recipe is for 4 qt and for 2.5 qt. I think I've always followed the 4 qt recipe, but I figured from CB's picture that it would be too much. I see what he did: whipping cream AND condensed milk...THEN whip it. I've tried the condensed milk thing and I thought it was terrible , way to sweet. back in the US I made rum raisin many times , it came out excellent , I never used milk always 100% heavy cream .You have to have 24/7 power to keep ice cream or you will get ice crystals .